Today’s post excites me yet makes me feel slightly wistful too! Don’t get me wrong I had an amazing wedding day but to put it bluntly I wished I’d had more balls… yup. I wished I listened to my inner diva and just gone f*%$ it. I’m gonna go my own way. Unfortunately though I listened to the birdies tweeting in my ear… “You can’t do that as it’ll detract away from your dress…” and blah, blah, blah, yadda, yadda… Albeit well meaning advice, this clipped my wings and ensured I didn’t fully fulfil my bridal fantasies. Now I know that there’ll be some of y’all reading this who’ll be going “It’s not all about the details, it’s about making a commitment to each other.” And I get that. It’s just your wedding day is one of the few days in your life you’ll get to totally rock it! So that brings me on to today’s post. In your face bridal style. Statement Necklaces. This trend has slowly sneaked up on us over the last year or two, starting with pretty sparkling bibs, collars and necklaces made from gorgeous crystals and pearls. But now, rather beautifully it’s evolved into the super acid brights and the pastel perfection of the uber statement necklace, and I think it’s beautiful. If I had my day again… I so, so would. 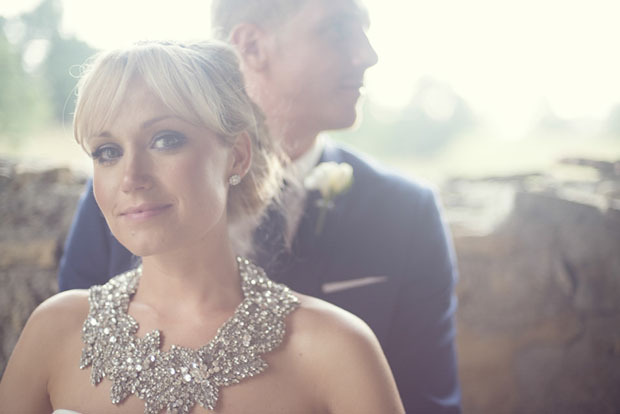 This crystal collar statement necklace is mesmerising! Possible Jenny Packham me thinks. I love the monochrome chic of this bridal outfit. The classic pearl look has been super-sized. Bit of a laid back chick? 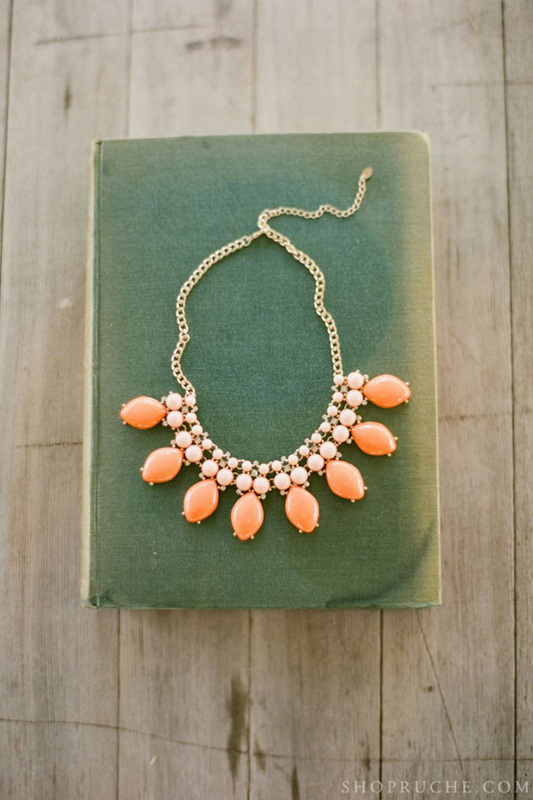 This boho statement necklace could be the look to go for. 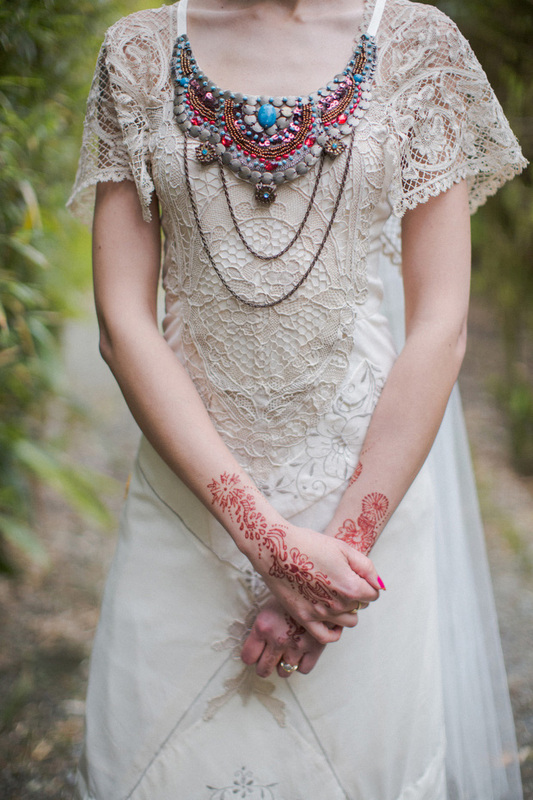 But if it lacks colour, this boho statement piece below is awesome. Maybe candy brights are more your thang? And you’d be bang on trend too with a neon statement necklace. 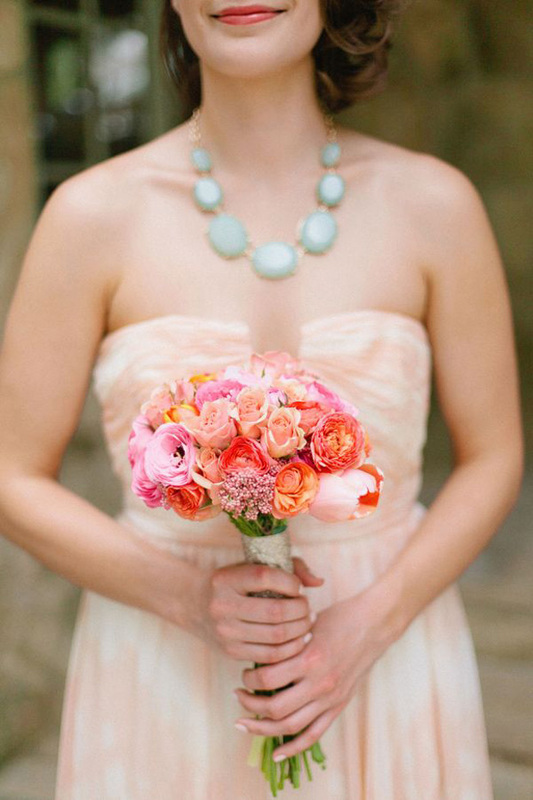 If you’re looking for a stand-out necklace that’s not so loud, maybe these pastel pretties will suffice? And finally this dainty yet, statement necklace that adorns the shoulders is gloriously gorgeous! So don’t be scared ladies to rock.it.out. 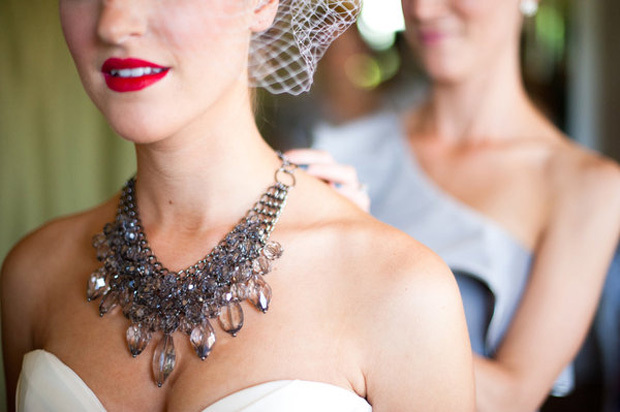 Time to make your bridal style sing and zing and pop with a stunning statement necklace. 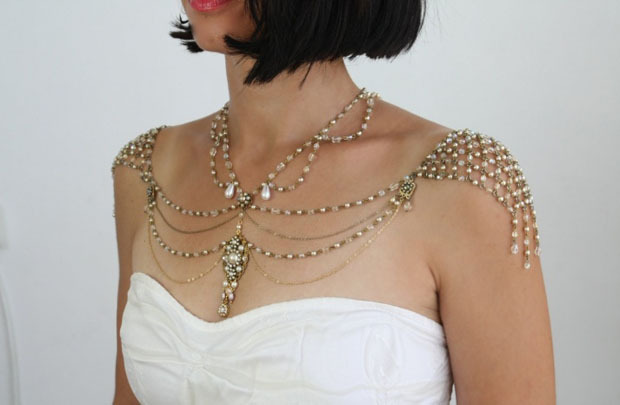 Click here from my best statement necklace etsy finds. Have any of your friends and family offered you well meaning advice during your planning that you’d like to ignore? What a great feature! 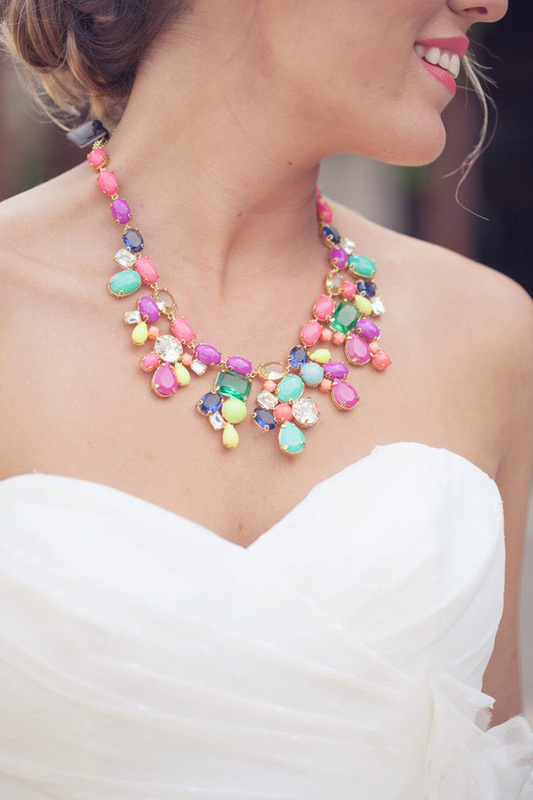 I personally like the multi-coloured necklace – so vibrant! 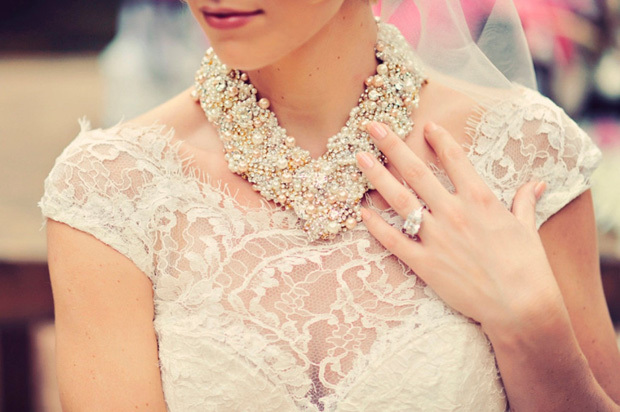 It could be worn during different parts of the wedding…..i.e. maybe at the reception just to mix things up a bit? Hello statement necklaces! They look awesome. 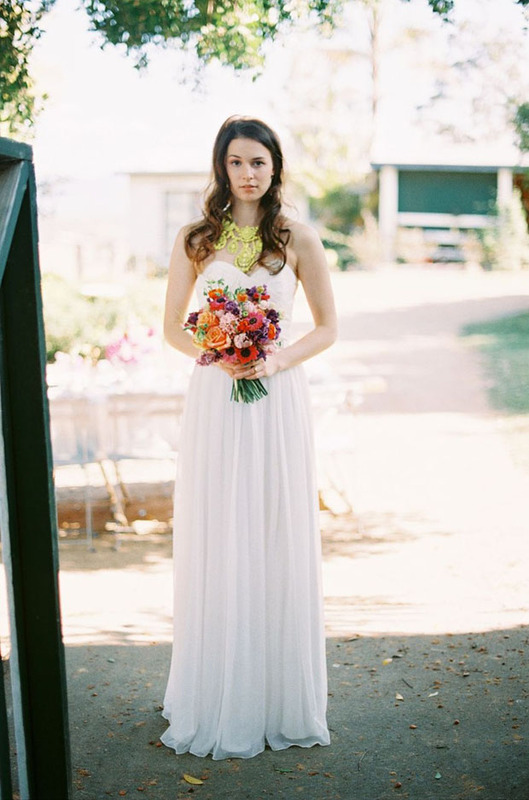 Particularly loved the gold-y coloured necklace with the very colourful flowers and long gown. On paper, it probably shouldn’t work, but in the shot it looks brilliant.